Lost an important document? Recover deleted and overwritten documents with Office Recovery! All Microsoft Office formats are supported for quick and automatic recovery. Recover lost music and deleted audio files with a step-by-step wizard. Quick and secure operation, live preview and low-level disk scan ensure fast and problem-free recovery of media files in a variety of formats. Recovering deleted MP3, WMA, OGG, WAV and many more types of audio files has never been easier! Music Recovery launches a straightforward step-by-step audio wizard that takes just minutes to produce a list of recoverable audio files. Music Recovery is as easy to use as it comes. The recovery wizard is clean and straightforward, and the recovery process is completely automatic. You literally don’t have to do anything but click the ‘Next’ button! Restoring a music collection from a crashed or formatted disk? Music Recovery is the right tool! 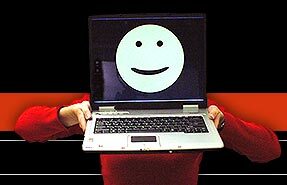 The unique PowerSearch technology scans the entire surface of your hard disk in order to find lost or deleted audio files in many formats. Even if the disk is completely messed up, PowerSearch can still locate and recover files! Are you looking to recover a particular album or composition? Getting hundreds of files that make it difficult to find the only one? Music Recovery makes it easier for you to locate the files you need by showing all the extra information that comes with audio files. MP3 and WMA files often come with meta tags telling about the artist and the name of the song; Music Recovery decodes and displays this information during the scan. Not convinced yet? How about listening to the deleted files? The free version of Music Recovery previews the deleted audio files by playing them in a built-in media player before you decide to save them. 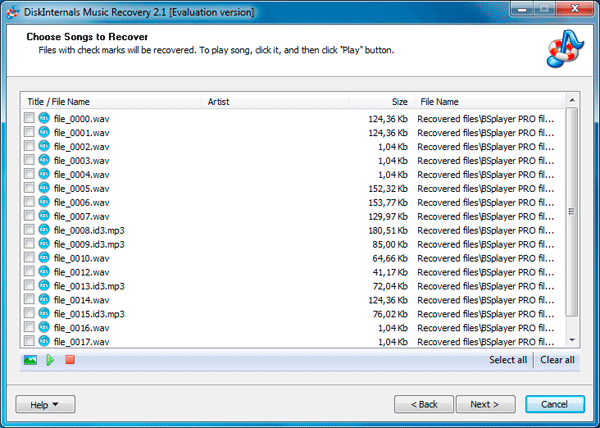 Music Recovery supports MP3, WMA, ASF, WAV, OGG, WV, RA, RM, VQF, MID, and VOC files.